But new kinds of youth formations did emerge from ’76, and those in turn gave rise to new cultural expressions: songs, slogans, gestural language and dances. Those creative expressions travelled into exile, into the camps of young MK soldiers and into cultural collectives in Botswana, Zambia, London, more; into trade union cultural locals as school students became adult workers – and into performance spaces and rallies as artists re-visioned and developed the spirit of ‘76 with fresh creativity throughout the 1980s and into the 1990s. 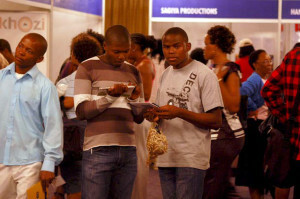 The flowers from those roots were furiously diverse: the disciplined stage performances of the Amandla Cultural Ensemble; the take-no-prisoners compositions and playing of Dudu Pukwana and Louis Moholo-Moholo in exile; the mzabalazo of the Fosatu Workers’ Choir; Menyatso Mathole and Sakhile at Club Pelican (and that band’s Isililo a bit later); and the joyous defiance of the Malopoets ………..
reference for association with similar others) for diversity and career progression among South African scholars. The responses to the piece were fascinating. They inevitably included accusations of “racism”, from a few individuals who really didn’t seem to have read it. There was even an invocation of what we have come to call the ‘Zille Argument’: “without [European music] their (sic) would be no harmony and no musical instruments. But this does not fit his (sic) tired and wordy narrative,” opined one commenter. 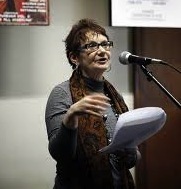 Gwen Ansell is a freelance writer, researcher and trainer. She writes about jazz (for this blog, The Conversation, the Financial Mail, M&G Friday and more) and reviews books – mainly science fiction & fantasy (these reviews have appeared in the Johannesburg Mail&Guardian and the Chimurenga Chronic, among others). As a Research Associate of the Gordon Institute of Business Science, she has researched and published on jazz and music policy in the creative and cultural industries sector. She trains journalists and academic and organisational writers, and consults on music industry policy, organisational communication and training policies as well as curriculum design. A former Louis Armstrong Visiting Professor at the Center for Jazz Studies, Columbia University, she is the author of Soweto Blues: Jazz, Politics and Popular Music in South Africa and the textbook Introduction to Journalism,, as well as various book chapters and journal articles. 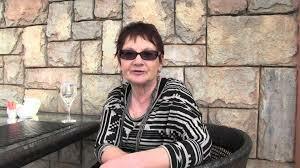 Watch out for her chapter on jazz in Johannesburg in the forthcoming second volume of Sounds and the City. Trombonist Emmanuel Rodriguez – “Rico” or “El Reco” – died on Sept 4 aged 80. The death of any great musician is a sad occasion. Even sadder in this case is the way the international press marked this passing. 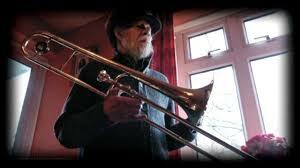 Without exception, the headline was “Specials’ trombonist Rico dies”. Rico certainly did work with Coventry-based UK band The Specials between 1979 and 1984. His is the sinister ‘bone sound infusing Ghost Town, a 1981 anti-austerity (the Thatcher version) anthem that spent three weeks at the top of the UK Top 10 and ten weeks in the top 40. But that is only a fraction of the career of a magnificent player, with more than a little jazz in his sound, which stretched from the 1950s to his final gig, only three years ago in 2012 and generated hundreds of recordings. It wasn’t just for Ghost Town that he was awarded an MBE and a Jamaican Musgrave medal. And while their era introduced him to more white listeners, The Specials did not make Rico’s career; he lent his skill and distinction to their sound. Rico was born in Cuba in October 1934, but his family moved to Jamaica when he was still very young. He attended the Alpha Boys School: a historic religious foundation for ‘wayward boys’. He told Belgian website rebelbase that he had been “a little wily wily” as a child, and was placed there by an anxious mother. Drummond (https://www.youtube.com/watch?v=5yENv58B02w) went on to be rated by pianist George Shearing as among the top five trombonists of his generation worldwide, but suffered severe psychological problems intensified by political persecution for his radical Rastafarianism. After killing his partner, he died in a psychiatric hospital, possibly from maltreatment. Rico was drawn to political Rasta too, and adopted the faith in his mid-teens. Increasingly he spent his time up in the Wareika Hills with Drummond, legendary producer Count Ossie and the mix of devout Rastas, radicals, artists and students who dropped in and out of the day-long music sessions that were part-jam and part devotion. The Nyabinghi drumming that underpinned that music became a characteristic feature of his own later compositions. Those contacts, and the constant challenge of extended practice honed Rico’s skill, making him one of the most in-demand studio trombonists of the booming Jamaican ska scene. He worked with everybody: Count Ossie and other production dons like Vincent Chin, Duke Reid and Lord Coxsone, performers such as Prince Buster, Toots Hibbert and, of course, the Skatalites. No discographer claims a complete account of the tracks he wrote or featured on, but in the press this morning/sell tonight climate of Kingston studios and the emerging sound systems, it is likely to have approached triple figures even before Rico left for London in 1961. If life in Jamaica, with the constant threat of police raids on Rastafarian gatherings, had been hard, London with its pervasive racism was equally tough. “It was hard to get work if you weren’t European or Caucasian, “ Rico remembered. He talks about the prejudices of those early days on www.youtube.com/watch?v=J_YrKAvwsZA .His first gig outside the Jamaican community was with singer Georgie Fame and The Blue Flames – but word of his skill spread, and over his career he worked outside Jamaican music with artists as varied as John Martyn, Ian Drury, Jools Holland, Ray Davies, Paul Young and many more. Meanwhile, he was leading his own outfits, including Rico and the Rudies, with whom he recorded in 1969 (https://www.youtube.com/watch?v=R5iW69KssvQ) . It was work for the Trojan label playing what came to be known as ‘skinhead reggae” (espoused by anti-racists among white working-class youth – and, more covertly, by not a few racists too) that blossomed into the “two-tone” movement and the teamwork with The Specials. But Rico was also working on his own music too. In 1977, he brought out what he considered his finest album, Man From Wareika. He loved it best because he felt it caught the mood and musical textures of those early days jamming in the Wareika Hills. 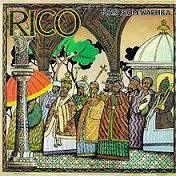 Other albums followed, too numerous to list in full, but including the 1981 That Man is Forward and – for those who like their ska with more space for improvisation and (old-school) rhythm n’blues swing, the 1982 Jama Rico, whose Destroy Them features haunting Nyabinghi drums. 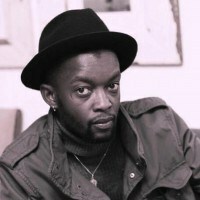 Rico also worked with performance poets such as Linton Kwesi Johnson and the tragic, powerful Michael Smith on his album Mi Cyaan’ Believe It, (https://www.youtube.com/watch?v=bGUh2KSrgpE ) in partnership with another studio legend, Dennis Bovell. He was a regular at anti-racism rallies and anti-apartheid gigs: self-effacing; never with much to say, except through his horn. In his later years, the recognition and touring opportunities did come, but usually confined within a ‘reggae’ or ‘ska’ box, and often as the guest of young white revivalist bands. Yet as superbly as Rico spoke in the voice of that genre, he was also an improvising musician who, on stages such as that of London’s 100 Club in its heyday, was equally masterful and at ease in the company of jazz players. Listen to him with the Rudies on the 1969 Mighty Dan (https://www.youtube.com/watch?v=7Wyw9xa3wVE ) skillfully weaving quotes into a rock steady rhythm matrix. Listen to the power and precision of his improvisation on Java from Jama Rico. Rico was so much more than the “Specials’ trombonist”. He was a master musician who enriched the sound of his on-stage collaborators, and provided food for the souls, brains and feet of those of us who merely listened. May his soul rest in peace, while his memory and music live for a long, long time. The weekly Blog by the doyen of South African Jazz journalism, Find out her and read her thoughts, insights and observations of the S-African and international jazz scene, also listen to her weekly live online chat, during the Jazz Rendezvous Radio Pinotage & Coffee Stockvel Club Show, Monday’s at 11:00 Central African Time.